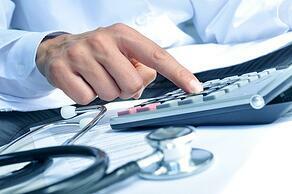 How much does it cost each year for the average ambulatory surgical center (ASC) to get paid? Although specifics vary by center, costs are growing. The regulatory environment faced by ASCs is a huge driver of fixed expenses, calling for internal audits, specially trained personnel, and much more. Overall, experts estimate that the U.S. has some of the highest medical administrative costs worldwide, with up to 25% of hospital spending going to administrative overhead – more than $200 billion annually. What’s worse, these costs have no apparent relationship to care quality. One might think the outlook is brighter for ambulatory surgery centers, which needn’t worry about overhead related to overnight patient stays. ASCs operate at a significant cost savings, but also face numerous unique coding and compliance rules. ASCs also have high staffing costs not offset by economies of scale: over 60% of ASCs have 20 employees or less. Single-specialty ASCs can trim costs further, but the ex-CEO of Providence Health Plan claims that an administrative savings of 30-40% is needed to significantly improve care delivery. With all these factors in play, it is crucial to ensure an ASC achieves 99% billing or better. Healthy, robust ASC billing provides strategic flexibility in an increasingly uncertain world. What are the key metrics to focus on and how can ASCs improve them? Having problems with aged A/R? The longer accounts receivable remain open, the more likely it is there’ll be issues with collections. Becker’s ASC Review recently listed four ASCs with industry-leading A/R, averaging between 20 and 30 days. By comparison, the overall industry average is 35-40. What’s their secret? Clarity of accounts receivable and accounts payable (A/P) data is a must, but there’s a crucial human factor: The accounts receivable teams at many centers proactively communicate with payors when A/R age hits an upper limit. Claims denial management is a vital part of ASC billing best practices. It improves payor relations and grows collections as a percentage of net revenue. A dramatic cut in claims denial often requires an initial investment in root cause analysis of denials, however. 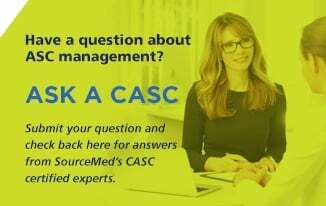 Once a cohesive denial management protocol is in place, ASCs are more empowered to prioritize benefit verification, educate clinical staff on how revenue cycle management relates to treatment, and build collaboration between administration and clinicians. The big shift to ICD-10 was October 1st. As practices groan under the weight of new regulations, it's never been a better time to focus on going 100% paperless. Relatively few ASCs use electronic health records, foregoing potential acceleration of the revenue cycle. Software-mediated ASC billing allows issues to be "red flagged" according to the latest regulations and best practices. This supports increased efficiency and productivity that can easily moderate the initial costs of implementation and the associated learning curve. Once data is visible, it becomes possible to benchmark performance, uphold standards, and pursue improvement. Without it, any efforts are truly a "shot in the dark." 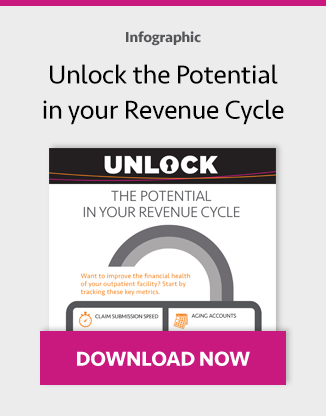 Research by HFMA suggests that the most successful ASC billing teams are encouraged to look at revenue cycle management as a whole rather than focusing on any elements in isolation. Organizational culture must support active improvement of the revenue cycle. The best revenue cycle management comes from teams of experts who deep dive in their area of focus, then work together to bring value to the entire enterprise. They are able to support one another and demonstrate value from continuous improvement.